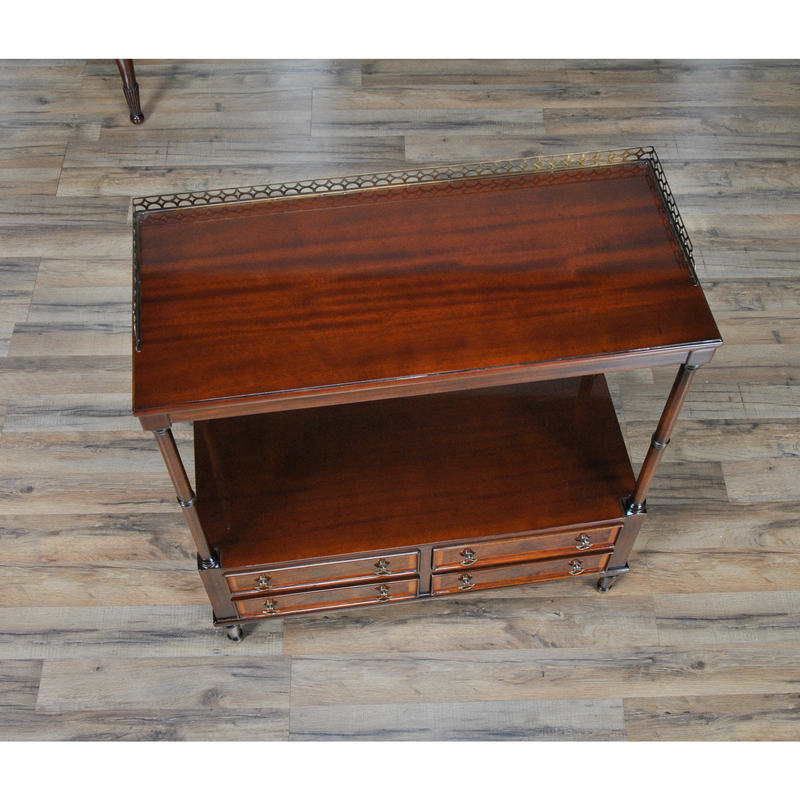 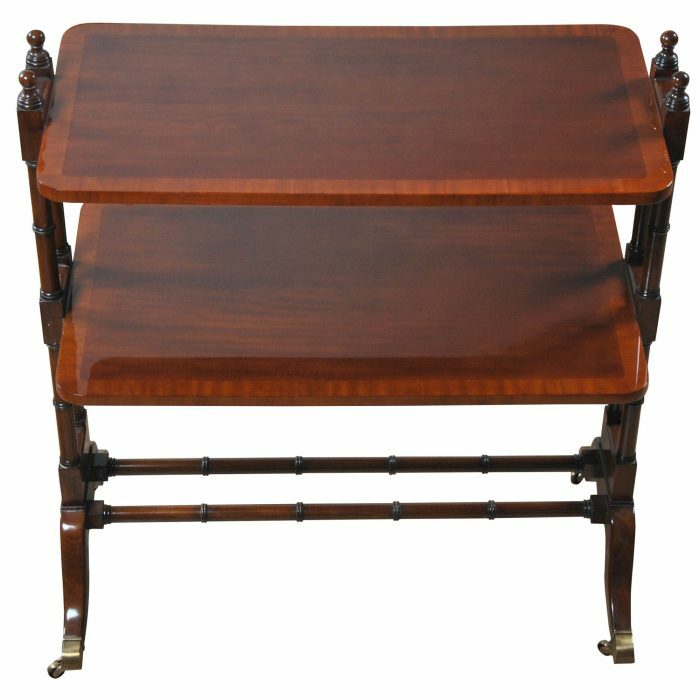 This beautiful Mahogany Serving Table by Niagara Furniture is a great addition in the dining room. 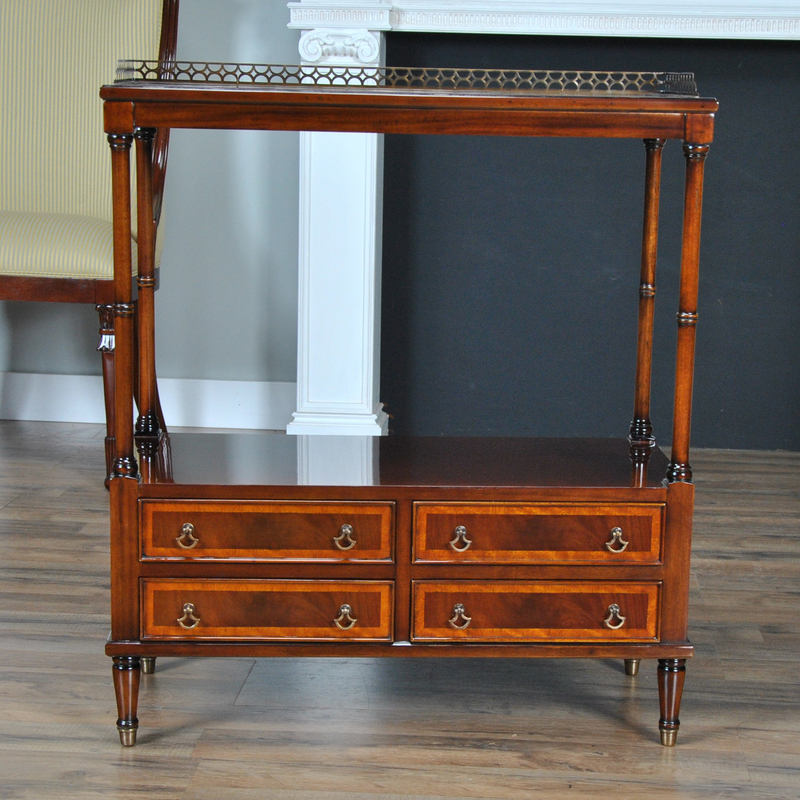 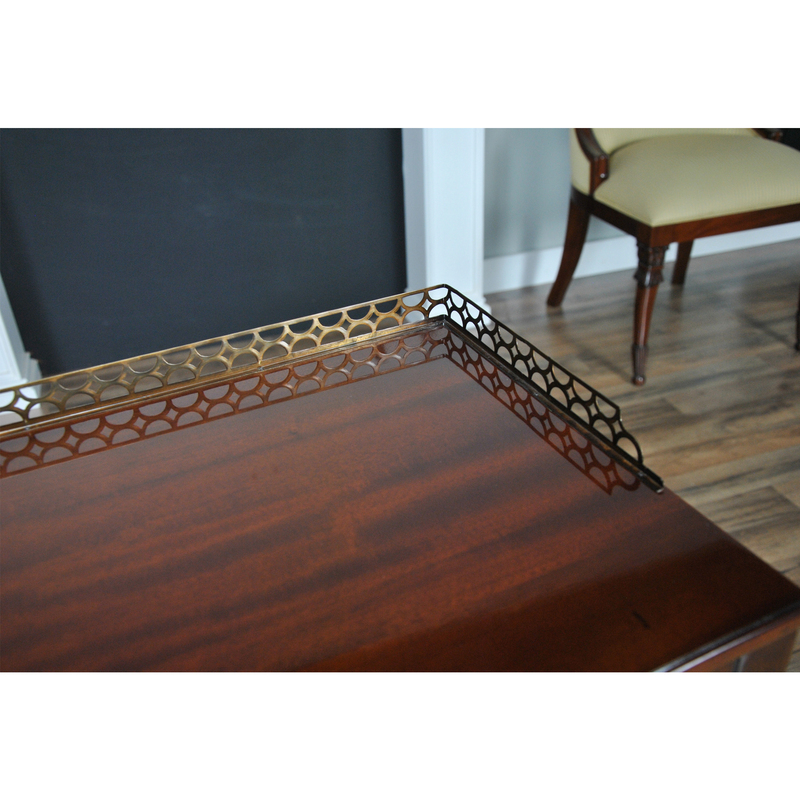 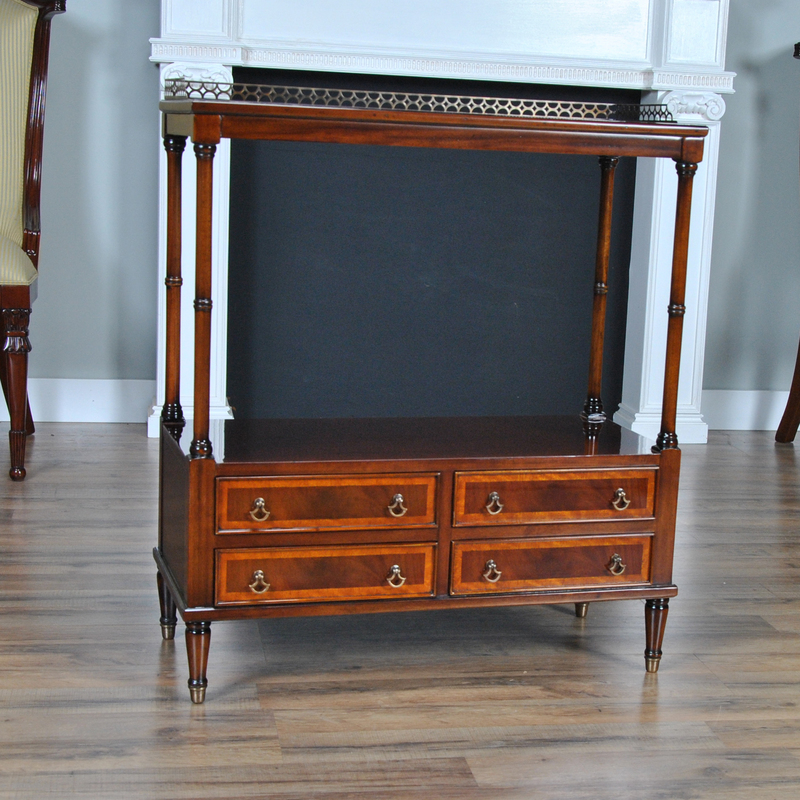 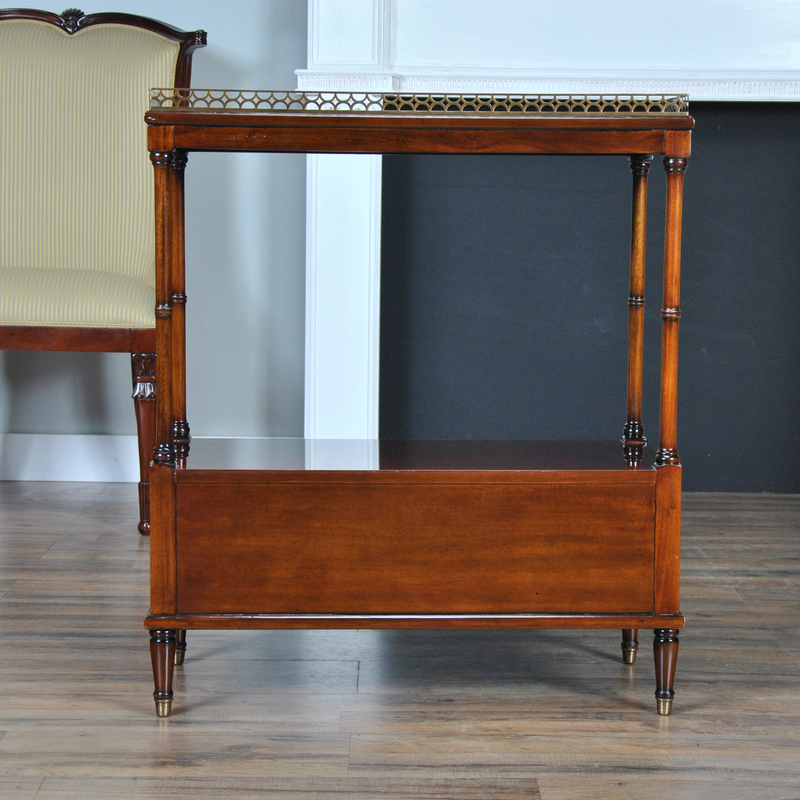 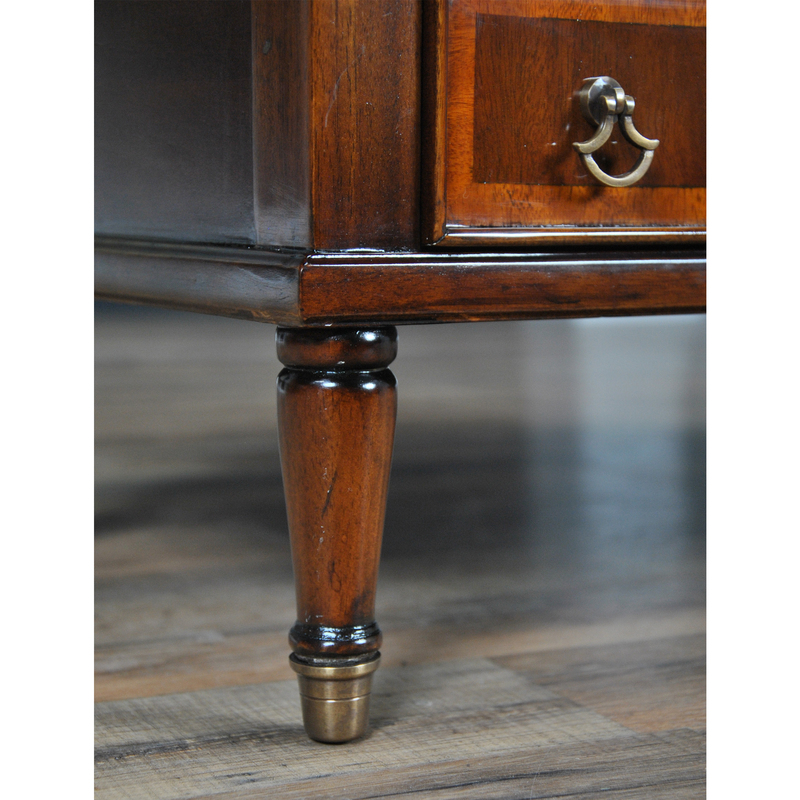 As a serving cart it features a brass gallery and fitted brass feet as well. 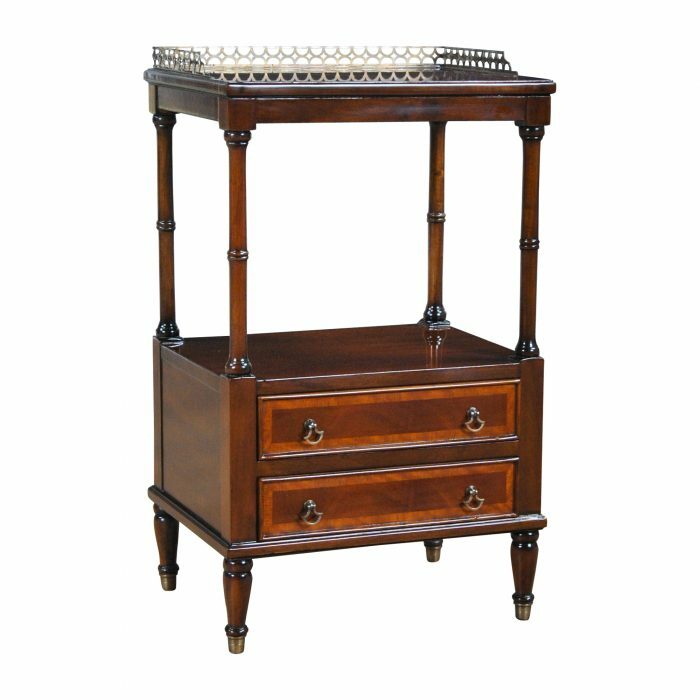 Four satin wood banded drawers provide hidden storage while the shelf below and above are for display of your favorite objects. 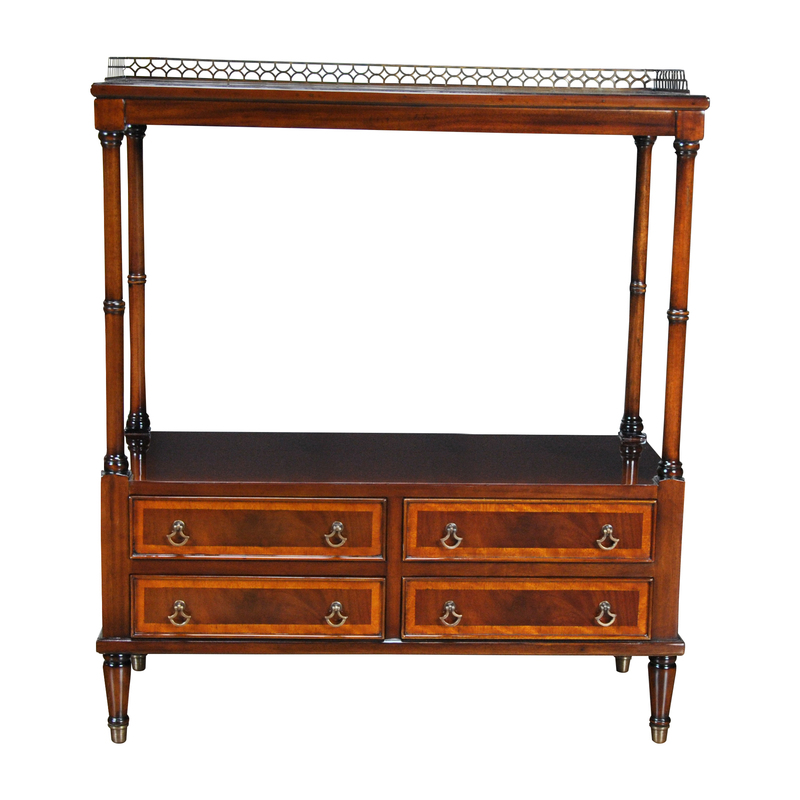 This item would also look great in an entry way or hallway. 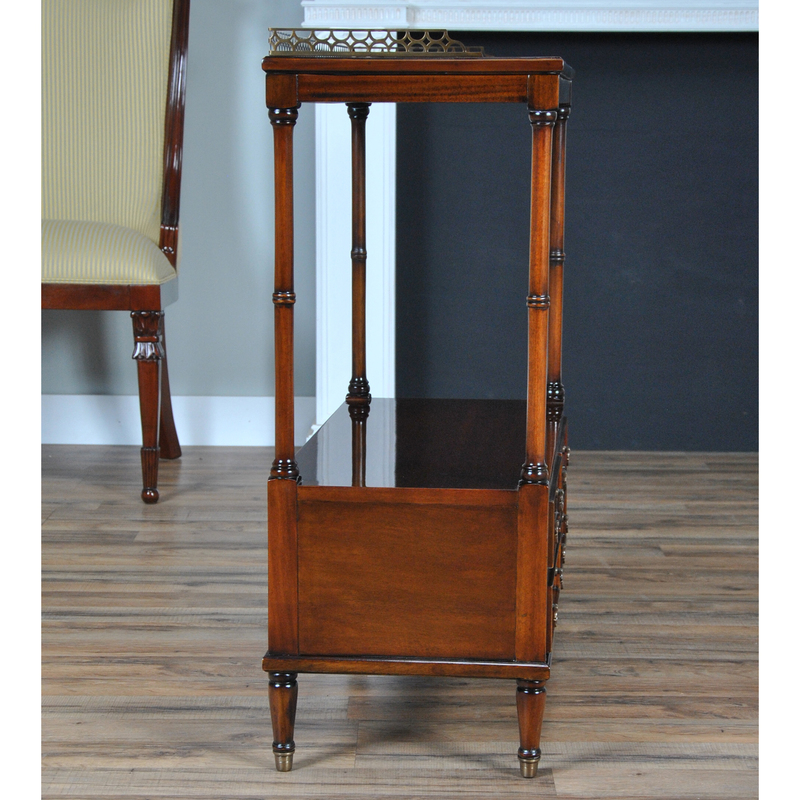 Often referred to as a dessert cart ourMahogany Serving Table would also be ideal for serving your favorite beverage after dinner with space for the containers on top and extra glasses below. 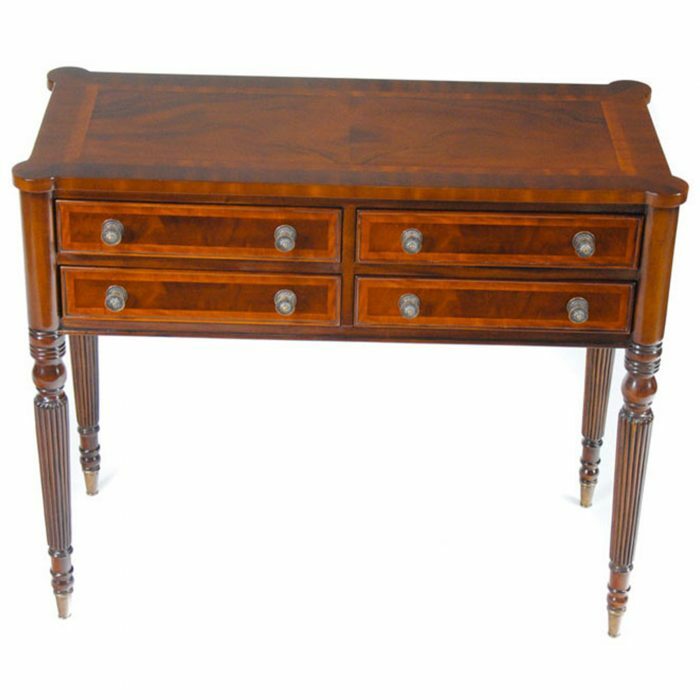 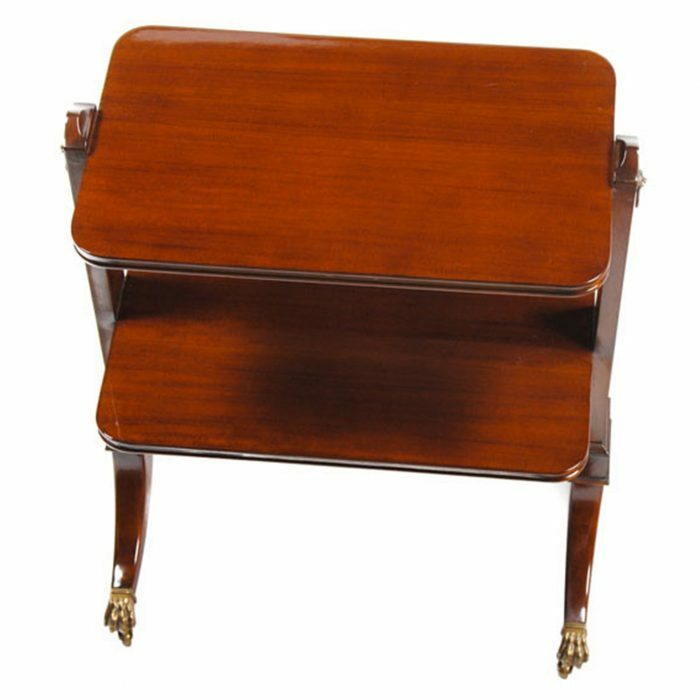 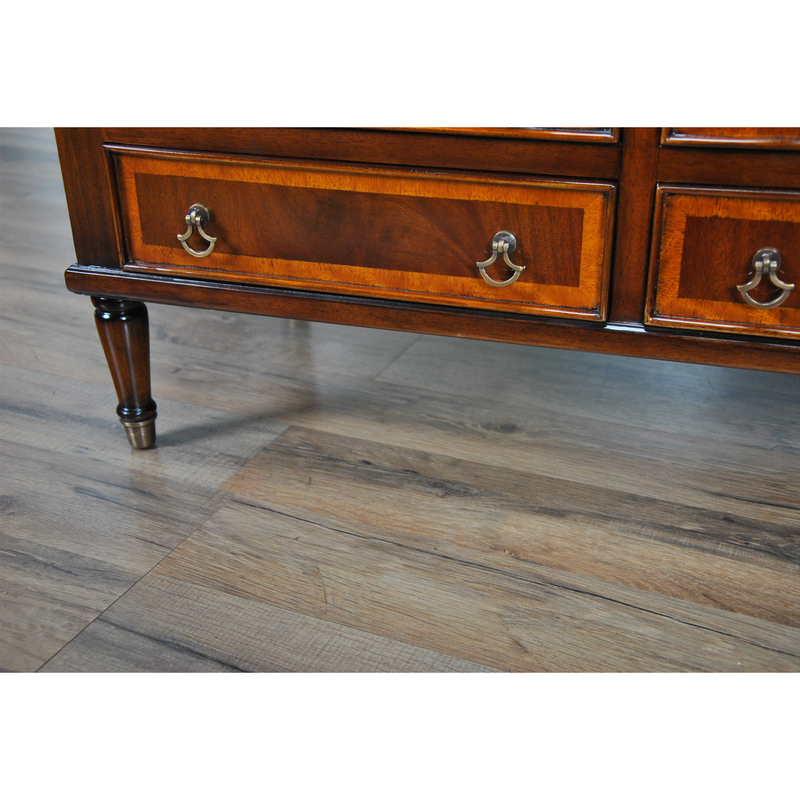 You can also combine this table with the popular end tables shown in the related products page below for use in a living room.